First off, the latest sale update … we’ve shipped all but three orders from November, so I’m currently about four days behind – which isn’t too bad, it means I’m at least keeping up and not slipping any further. I’m hoping that we can repeat last year’s achievement of clearing everything before the Christmas holiday starts. In between stints at the workshop I’ve been doing a little bit of design work. One of our goals for next year is to start replacing all of the cruisers and escorts for the major powers now that we’ve finished the capital ships (well nearly – the USA will get their new models first thing in January). We’ll start with the British, with the aim of having those ready for release at Salute in April. There are seven models to be replaced, and we’re also hoping to squeeze in a couple of new designs as well. As you can see, I’ve based these new ones on the existing designs but with the addition of separate turrets on the larger vessels (which then gives us the option of offering an AA version of the Arethusa by swapping out the gun turrets for AA ones). And they’ll generally just be slightly better overall with more details and little touches like windows that are inset rather than proud of the surface. 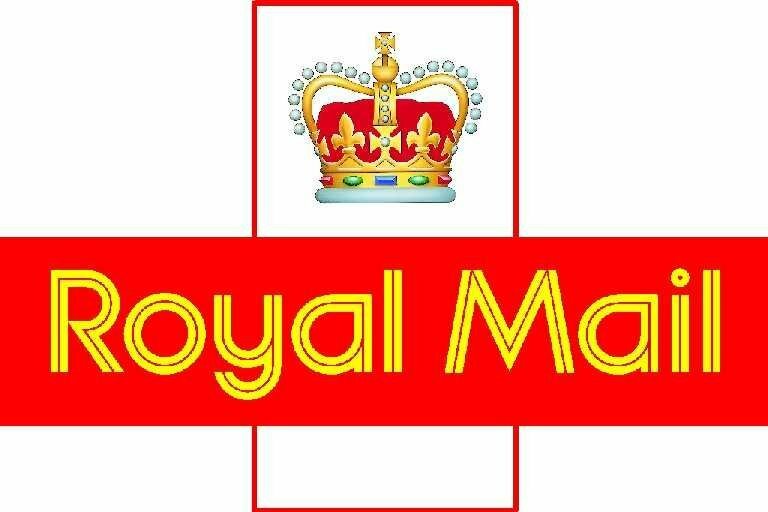 We’ve had the Royal Mail’s last recommended posting dates for Christmas this year; I’ve listed them below, something to bear in mind if you’re buying presents and want them to arrive in time for December 25th. Also bear in mind that I can’t always dispatch orders on the day they arrive, especially at this time of year when we’re busy with the sale. As you can see, you still have plenty of time. Talking of the sale, I’m doing reasonably well – I have caught up a bit. All but a handful of orders up to last Thursday (22nd) have been sent, and several after that date (mostly orders for just rulebooks, which don’t need any casting and can be sent immediately). I have three huge orders to do that will occupy all of my time today, but by the end of this week I hope to have the backlog down to manageable proportions. Now to see who reads all the way down this far … thanks ! 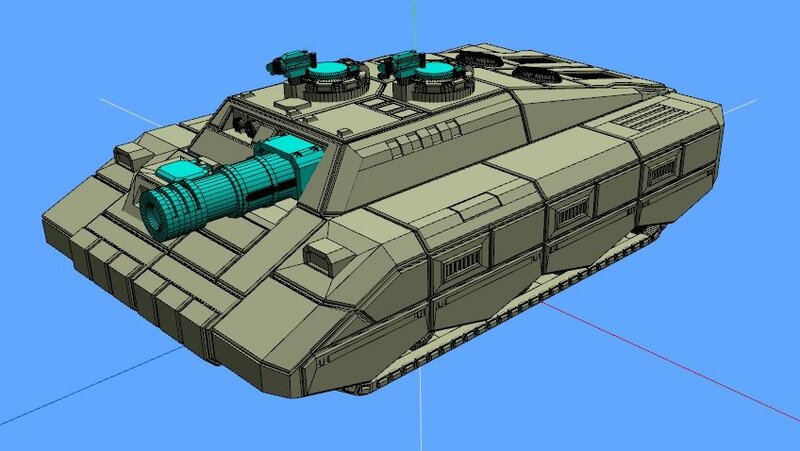 Here’s a preview of a new Hammer’s Slammers tank destroyer, the Silverback. Readers of Miniature Wargames will have seen this already in the review section, but it’ll be new to the rest of you. I have masters for the 15mm and 6mm (hi David !) versions and production moulds for the 15mm hull have already been made, I’m just waiting on Phil to make the master mould for the metal parts. It’ll be one of our first releases of 2019 and might even squeeze in the back end of this year. It’s a bit of a monster, equal in size to a Slammer’s M2 blower tank and carrying the largest gun (25cm powergun) of any vehicle in the Crucible. 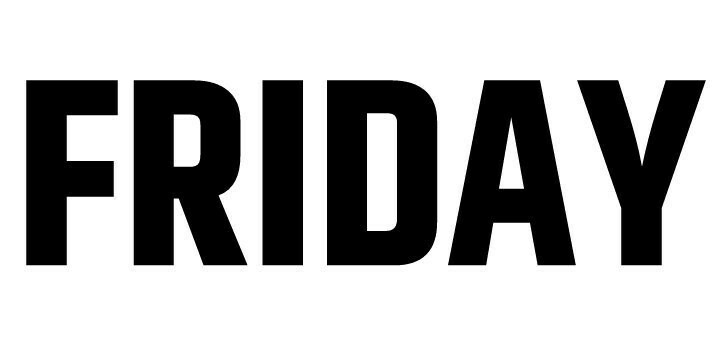 Shapeways are having a one day sale today – if you fancied grabbing anything from our Shapeways store (or anyone else’s, but mostly ours 🙂 ), now is the time. 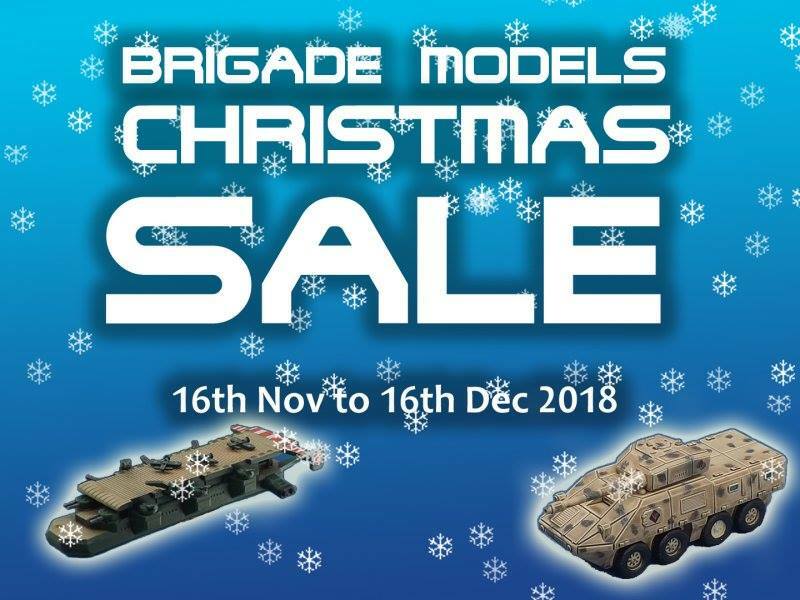 So it’s already that time again – the Brigade Christmas Sale starts today! I’ve uploaded the graphics, tested the shopping cart and it all seems to be working, so we’re ready to roll. As we have in the last couple of years, we’re starting the sale now and it’s due to run for just over four weeks, until Sunday December 16th. This should allow customers overseas to place their orders and receive them in time for Christmas, and it also allows us to get everything cleared and out of the way before our own holidays so we don’t have to come back to a huge order backlog in January. It’s the same format as we’ve run for many a year now – 15% off pretty much everything that we make (there are some exclusions – see the Christmas Sale page on the website for full details). You have thirty days starting now, so get to it ! Please share this post on social media, mailing lists, forums etc.